Validate your designs for durability to decrease warranty claims, increase safety and reduce cost. One of the most challenging tasks of design and development process is prediction of failure over time. Without knowledge of how a structure might fail, it is harder to improve its safety performance. Physical testing for all possible failure scenarios can be cost prohibitive. 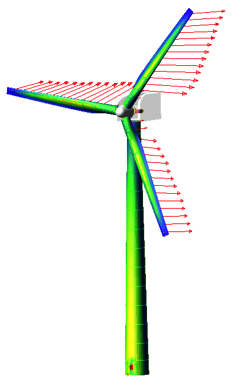 Durability analysis from finite element models is becoming increasingly accepted in the design process. The analysis is no longer limited to fatigue life calculations - output can now include safe working stresses, warranty claim curves, and the effects of high temperatures, manufacturing processes and assembly stresses. 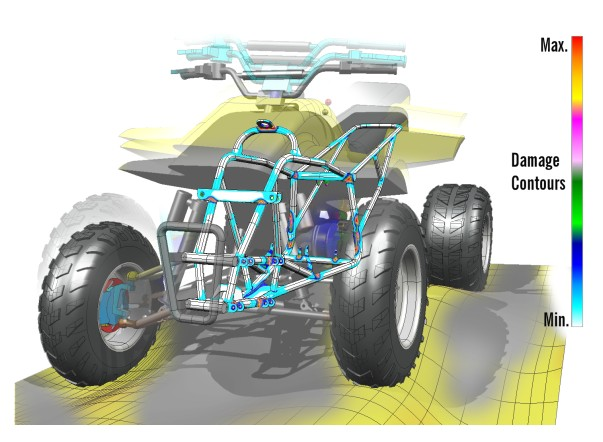 MSC Software offers a range of solutions for FE based durability and fatigue problems that enable accurate prediction of product life under any combination of time-dependent or frequency-dependent loading conditions. Aerospace: Wings, panels, engine blades, wheels, rivets, bondings, actuators, transmission components, valves, landing gear, nacelles, fluid transmission systems. Automotive: Gears, welds, chassis, suspension, rivets, bolts, wheels, crankshaft, connecting rods, pistons, wheels, full body systems. Biomedical: Stents, prosthetics, dental implants, hip implants, knee implants. Energy: Pipes, pressure, vessel, drilling equipment, control and safety valves, welds, fans, turbines, wind turbines, offshore platforms, gears. Electronics: Solder, lead wires, PCB, actuators, electronic racks and housing assemblies. Consumer Products: Seals, fans, connectors, wires, valves, bicycle pedals, exercise equipment. Machinery: Gears, belts, valves, seals, pipes and tubes. An entirely new concept for CAE based fatigue calculations. 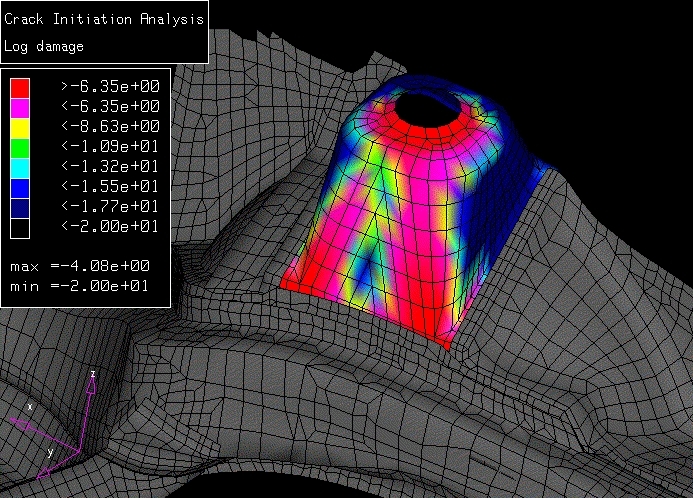 NEF enables fatigue analysis to be performed as an integral part of stress analysis and not as a post processing task. This improves current practices which can be cumbersome and time consuming. NEF revolutionizes the way current calculations are done because there is a dramatic reduction in the number of miscellaneous files that have to be managed (improved durability management) and a corresponding reduction in the overall process time a large job can take. 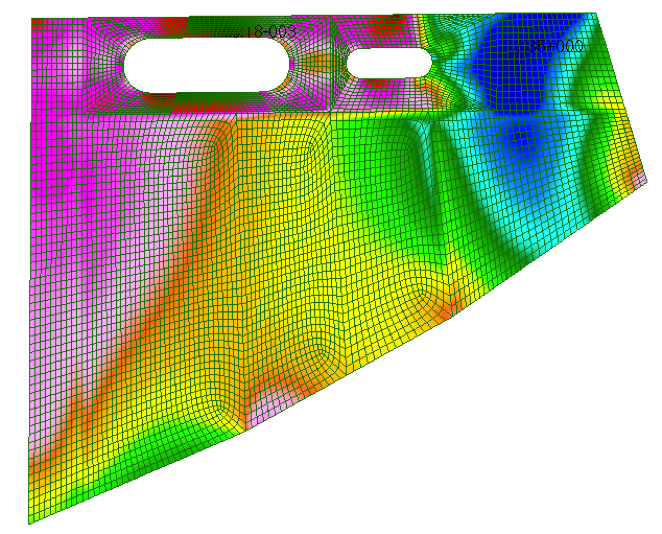 With Nastran Embedded Fatigue (NEF), large stress (intermediate) files are no longer be needed. This eliminates the need for time consuming file transfer, reduces memory requirements, and enables fatigue computations to be performed faster in memory with use of less disk space. In this way full body fatigue calculations for large models are made possible. 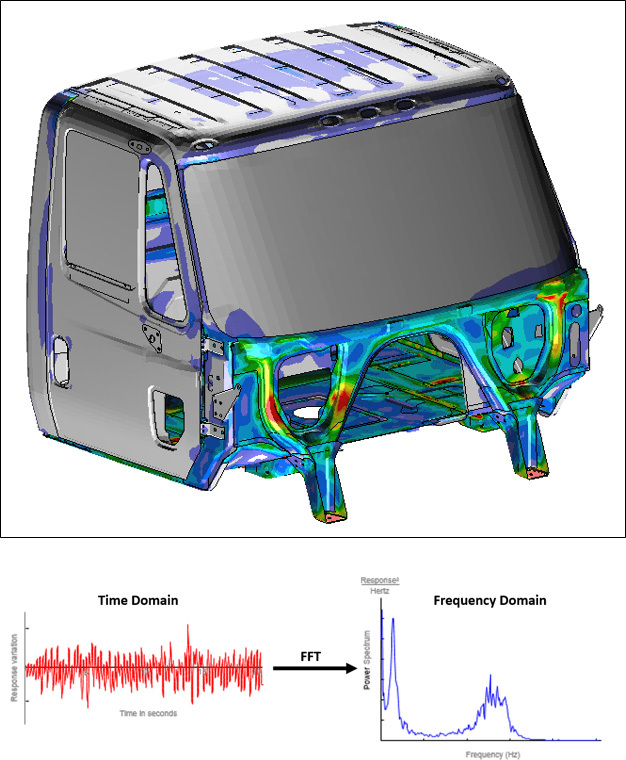 NEVF enables users to perform the fatigue analysis in frequency domain with techniques that are often used for dynamic structural analyses. This computationally efficient procedure provides life estimates orders of magnitude faster with minimal loss in accuracy, while using only a small fraction of system resources compared to traditional methods. Frequency domain methods also offer quality results for complex load histories, which could be even random in nature. Duty Cycles: All of the above loading types can be assembled in to load events and sequences to make up realistic duty cycles. MSC Fatigue is the most advanced, full featured durability product available in the marketplace. Its advanced fatigue life estimation program allows users to perform comprehensive fatigue analysis with the same FE results that are used for stress analysis. 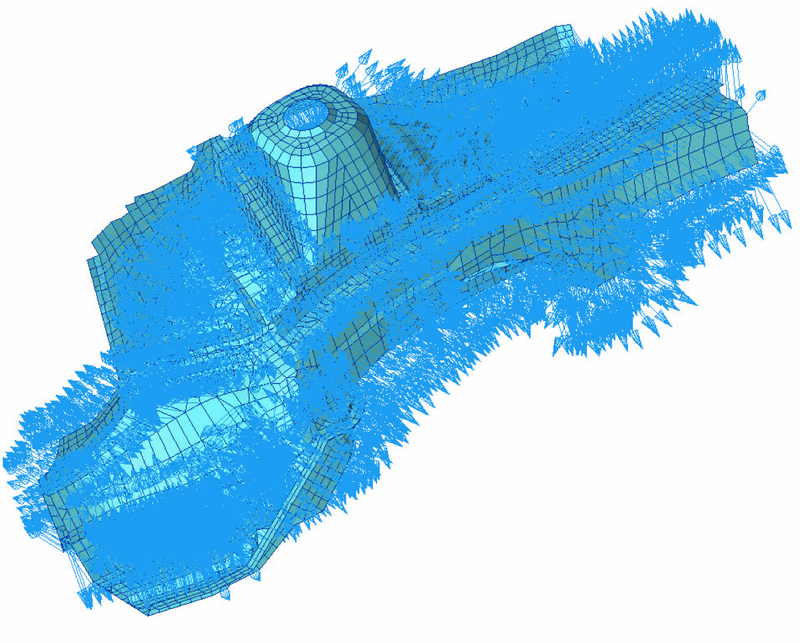 The environment seamlessly enables CAE, dynamic analysis and durability to be managed in a single interface. It includes advanced modules developed by MSC Software over a 20 year period as well as more recent modules developed as part of the nCode DesignLife suite of programs. 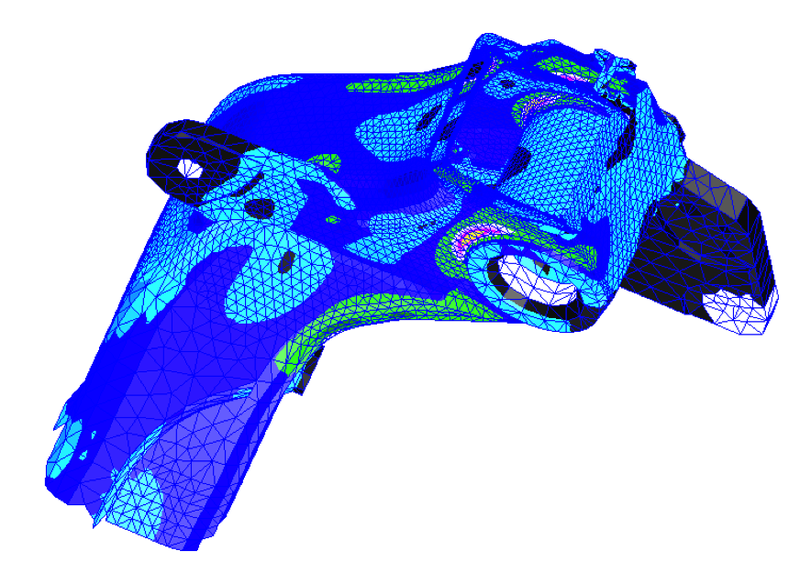 MSC Fatigue sits fully within Patran , thus allowing access to the highly powerful pre and post processing capabilities within this advanced modelling environment. 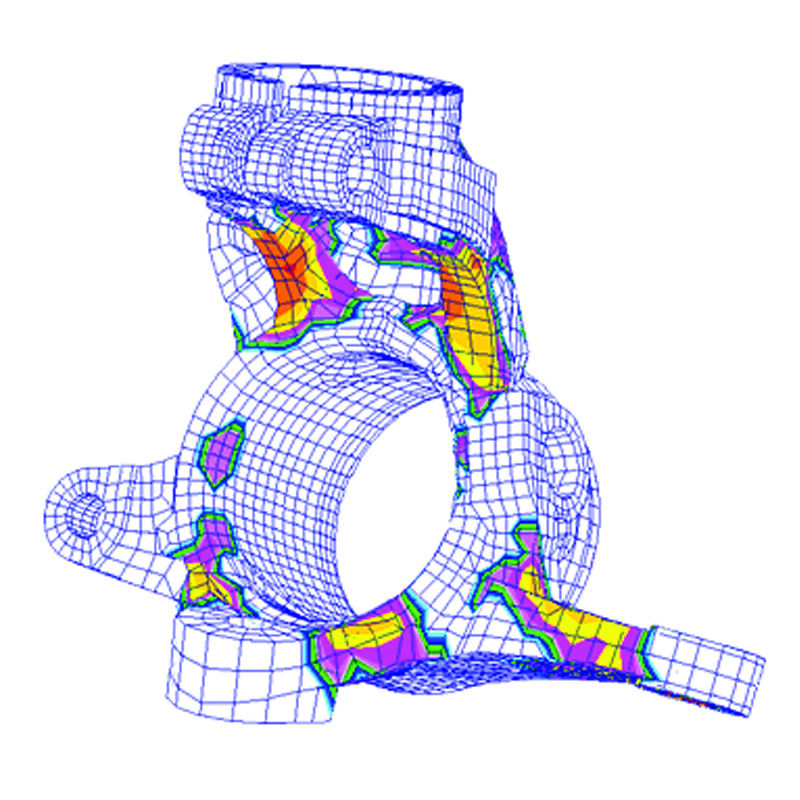 Comprehensive set of failure models suited for several material classes, including ductile, brittle, composites, elastomers, and concrete are available in Marc FEA solver. 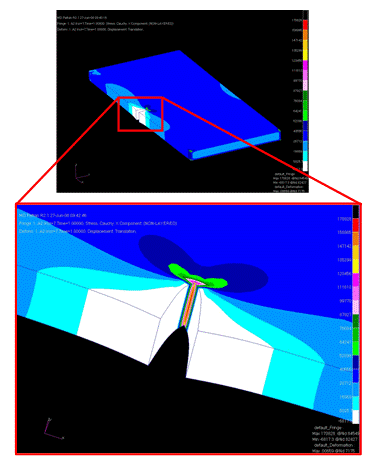 Robust crack propagation capability enables engineers to better grasp the failure mechanisms and device appropriate methods to avoid catastrophic failures. Adams/Durability, part of the Adams suite of software, extends the traditional test-based durability design process into the virtual world. With Adams/Durability, you can simulate a durability duty cycle and write out component load histories and drive a durability test rig using output data in RPC III Format or DAC Format. 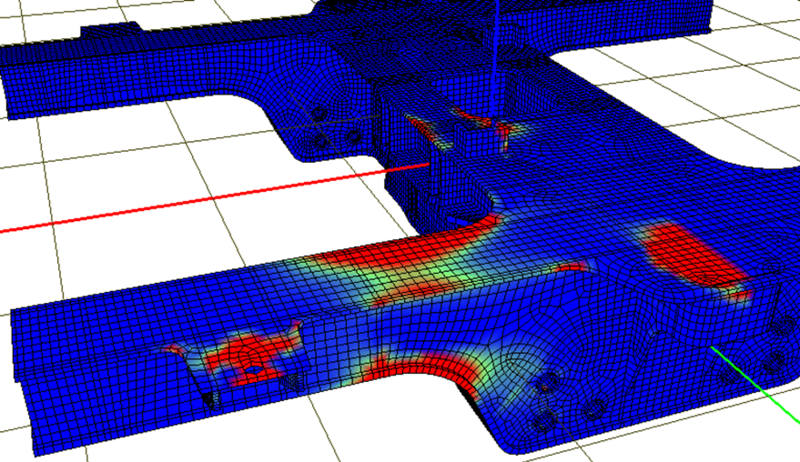 You can visualize stress and detect hot spots in flexible or rigid components, and you can improve component design by interfacing with fatigue life prediction programs. 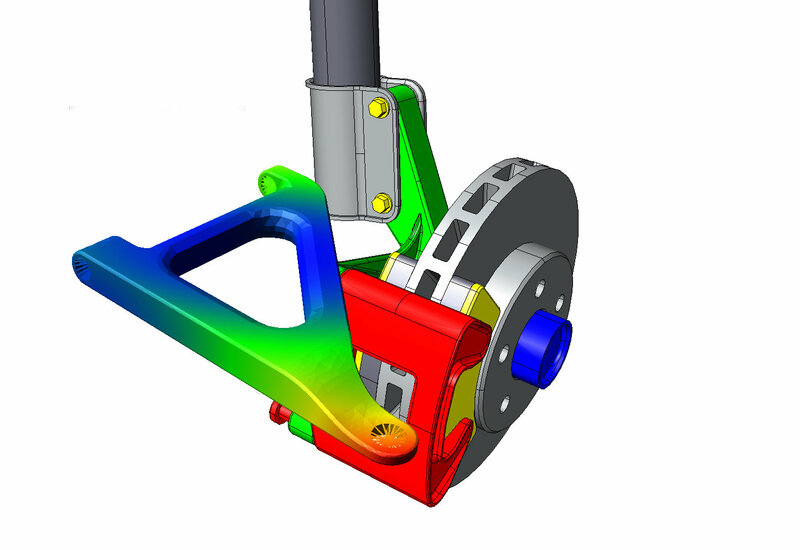 In this way Adams is an essential tool for creating the FE loading time histories needed by either MSC Fatigue or Nastran Embedded Fatigue and both these products have ready made links to Adams to accommodate this integration. Accurate materials data is an essential part of any fatigue life calculation. MSC Software has recently formed a partnership with HBM nCode UK Ltd to provide a comprehensive, fast and competitively priced service for providing accurate material data. HBM nCode enables fatigue life prediction from virtual simulations, making it possible to perform durability assessment up front to avoid costly design changes. 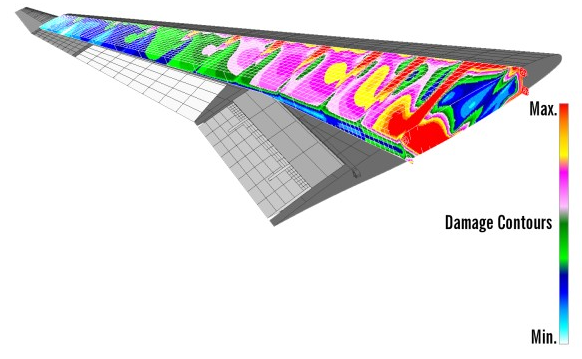 Sometimes numerical modelling of material properties for fatigue can avoid the need to do so much experimental testing and Digimat provides a numerical modelling approach for this. MSC Software is able to utilize some of the worlds leading experts for the provision of both fatigue training classes and engineering services. Fatigue training can either be software focused (PAT319) or technology focused (NAS319). MSC Software can even offer a bespoke Durability Management Quick Start Project (NAS399) aimed at users currently employing GUI based fatigue analysis processes who want to switch to a solver embedded approach.